Adjustable arm 15" to 21" for different heat settings. Drilled aluminum shades for increased heat dissipation. Includes two 250-watt clear bulbs. 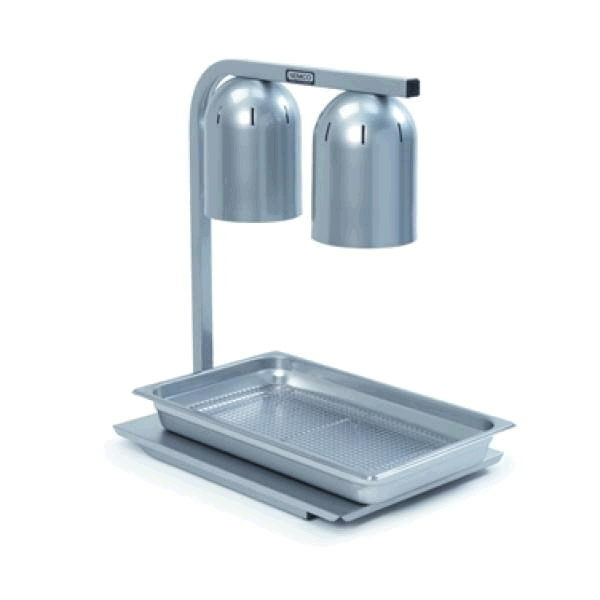 * Please call us for any questions on our heat lamp aluminum warmer 2 bulb rentals in Ft. Wayne IN, Warsaw, Syracuse, Auburn, South Bend, Indianapolis IN.